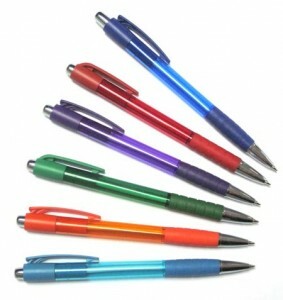 Matte Blue – Inca-45 click action ballpoint pen with matte lacquer finish and gold clip and accents. 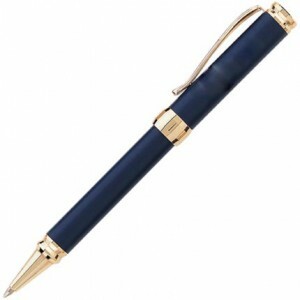 Solid brass lacquered ball pen with chrome trim. 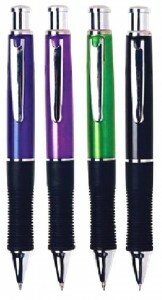 Blue refill. 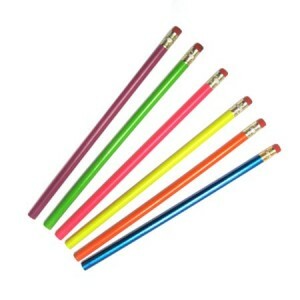 Aroma Scents infused into the grip. 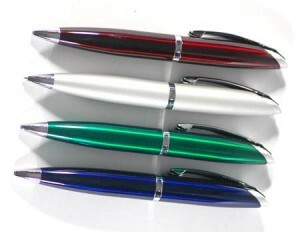 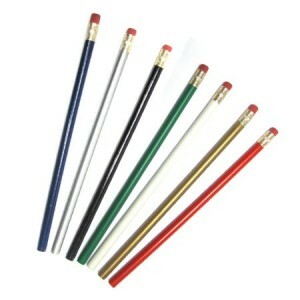 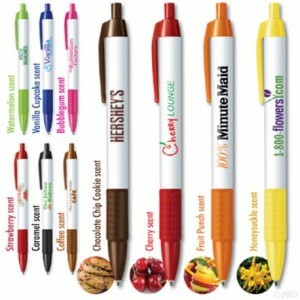 Click action ballpoint plastic pen with Soft-Comfort Grip. 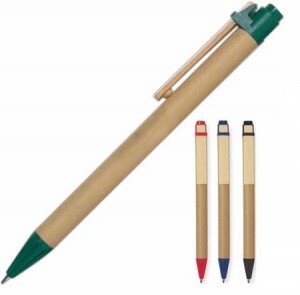 Eco-friendly pen with recycled paper barrel and wooden clip.